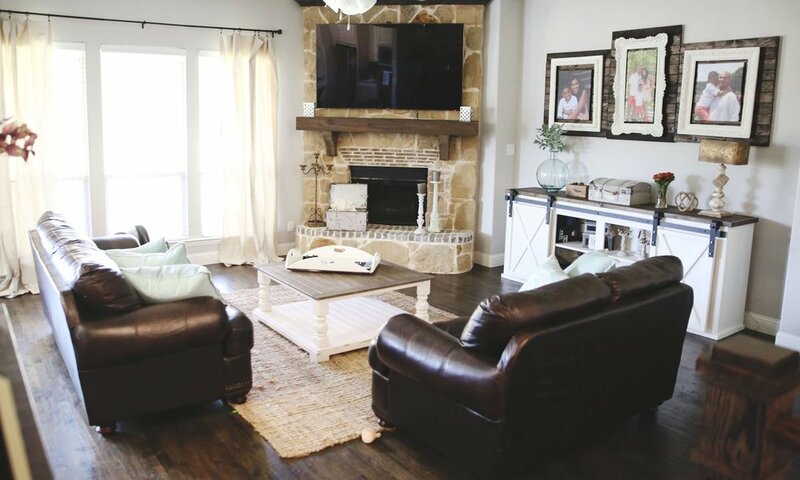 The dark wood details paired with some classic farmhouse touches make this space look traditional and welcoming. 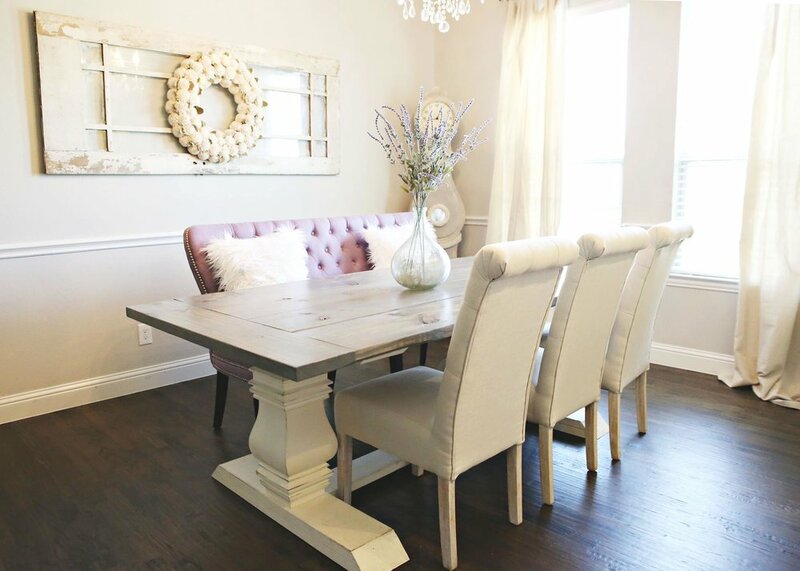 The Victorian touches in the dining room and entry table made this house a home for our client. 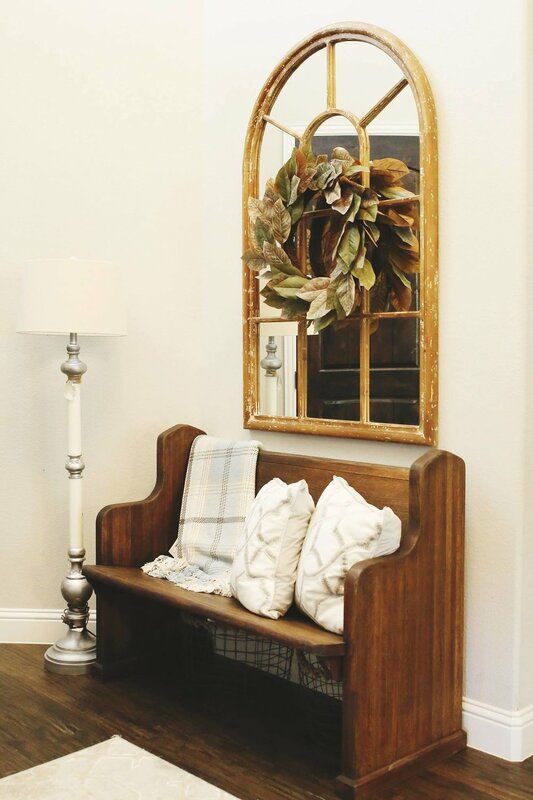 We were able to pull a traditional farmhouse and Victorian style together with a few pieces including a church pew and a beautiful Upholstered dining bench. Contact us today to help transform your home.